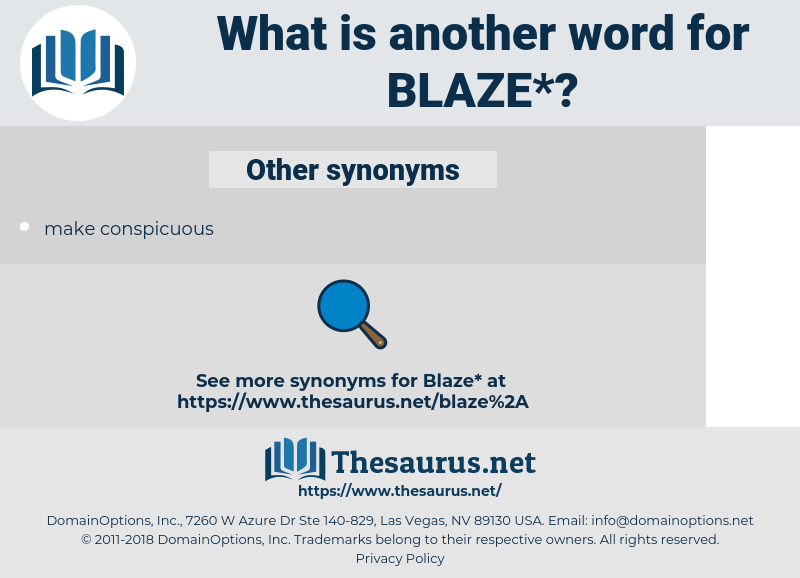 What is another word for blaze? burn brightly and intensely; " The summer sun alone can cause a pine to blaze"
duskiness, cool, gloom, dark, dusk, dimness, night, subdue, blackness, put out, stifle, smother, extinguish. Louisa's great black eyes seemed to blaze like living fires. And then, in a blaze of rage, he was on his feet. 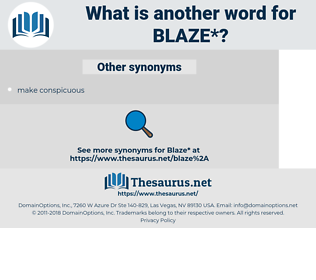 Blayze, blaese, Blaize, Blaise, blase. mischievousness, mischief-making, roguishness, roguery, shenanigan, mischief, deviltry, rascality, devilment, devilry.